Master designer-maker Philip Koomen has played a significant part in the OneOak project: from guiding the sectioning of the tree after its felling, bringing partners and contacts to the project, advising on milling, grading the boards, and helping in the promotion and general steering of the project. Read more about Philip Koomen’s involvement in the OneOak Project. 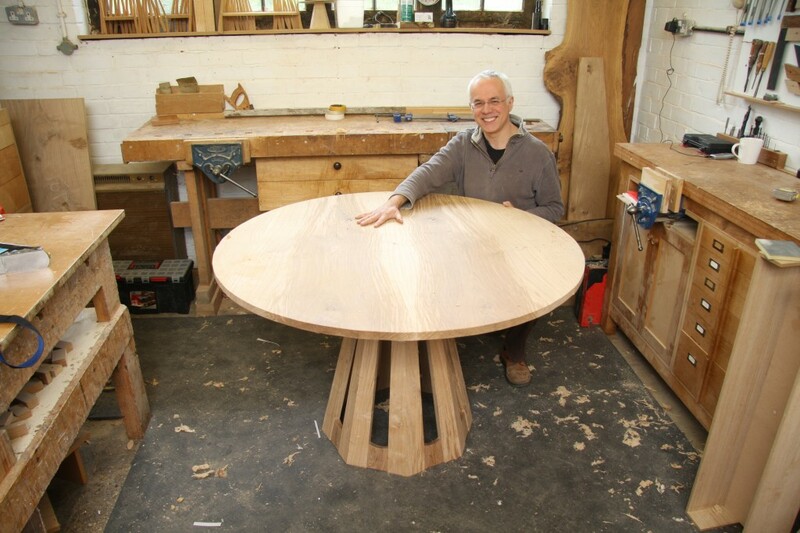 In one of the last of a series of posts telling the stories of the OneOak makers and their OneOak products, we tell the story of Philip Koomen’s making of a stunning pedestal table. Philip had the use of two boards from the OneOak tree. He kept all his offcuts and sent them to his son Jody, also a designer-maker. 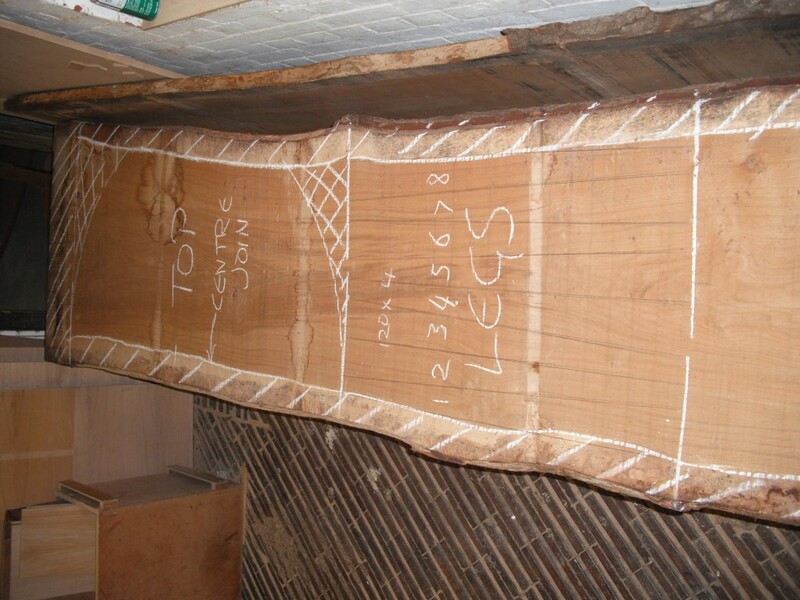 The actual table top marked out and a model of the table. Notice how the figure has been matched to mirror itself. The table compliments a chair that Philip designed recently as a speculative project. 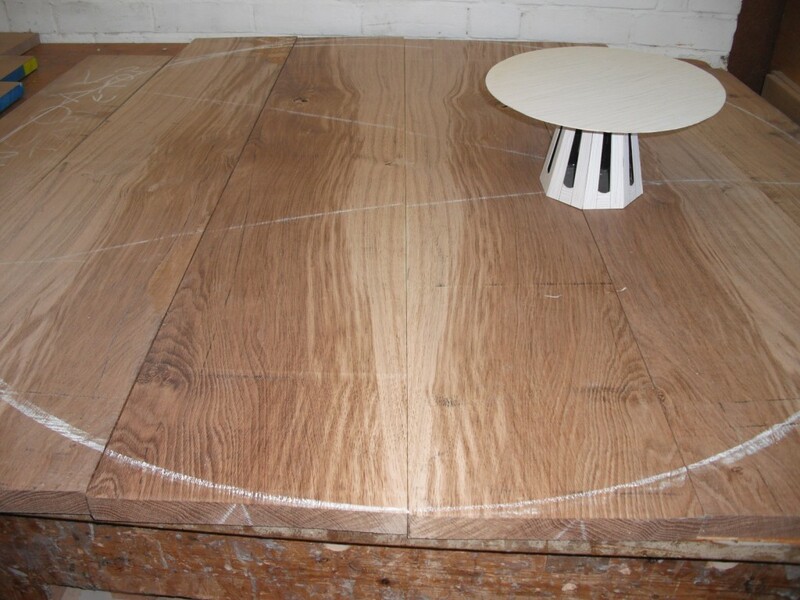 The table top has a diameter of 1.3m which is a little smaller than he would have liked but the availability of OneOak timber excluded anything larger. He says it does make it rather convenient in size as it now fits in an estate car! It has been finished with oils specifically to make it more robust as it travels with the OneOak touring exhibition over the next few months. 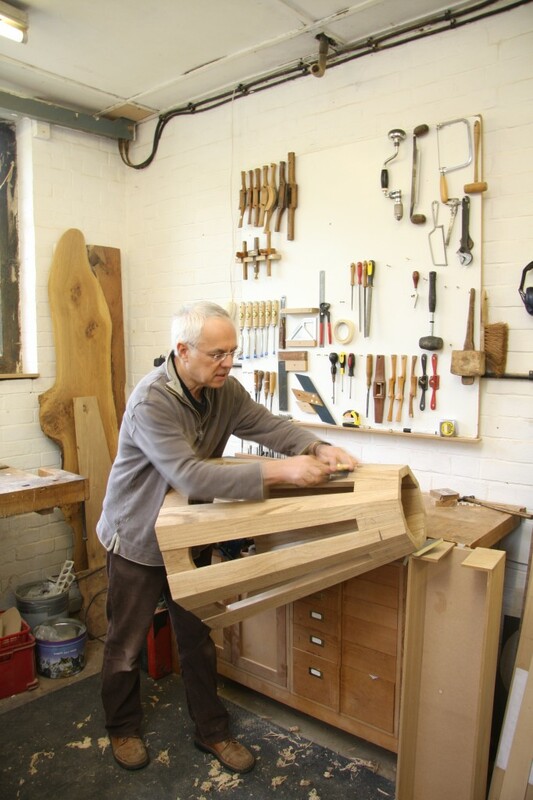 Philip’s table will be on display at Art in Action 19-22nd July. There it will join dozens of other items made from the OneOak tree, including a coffee table made by his son Jody.